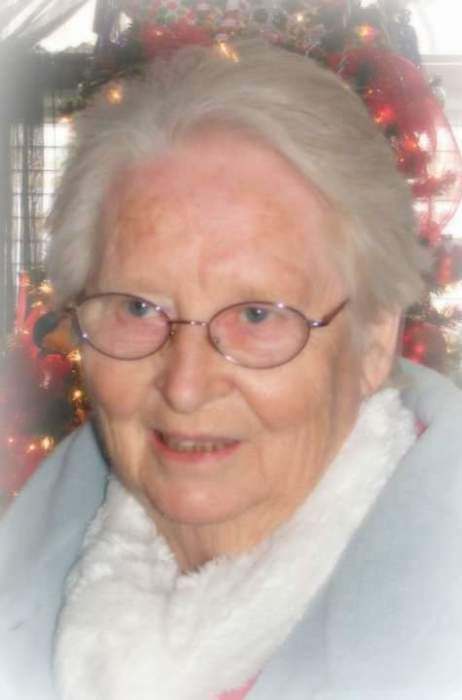 Anna Mildred Smith, 88, of Carrollton, KY, died on Saturday, October 27, 2018 at the Signature Healthcare of Carrollton. She was born on February 28, 1930 in Carroll County, KY, the daughter of the late Ralph Austin Smith and Nannie Rabourn Smith. She was a housewife and homemaker. She was of the Baptist faith. She is survived by two daughters, Barbara Overstreet of Carrollton, KY, and Carolyn Bright of Bedford, KY, three sons, Bobby Smith of Bedford, KY, Donald Smith of Worthville, KY, and Ralph Smith of Carrollton, KY, three sisters, Mary Willis, Mabel Proctor, and Patsy Tharp all of Carrollton, KY, fourteen grandchildren, thirty seven great grandchildren and twenty two great-great grandchildren. She was preceded in death by her parents, her first husband, Lewis Smith and second husband, Vernon Smith, three brothers, Hershel Smith, James Osborne Smith and William Earl Smith.